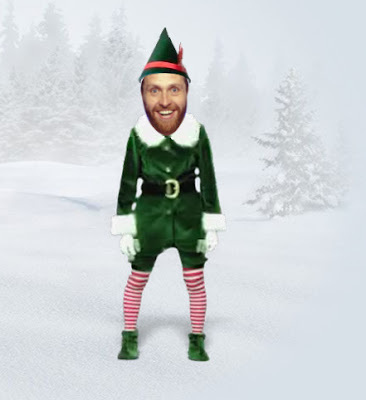 why not click here some scary dancing elfy goodness. My mouse hovered over the "add to cart" button on the website selling Moldovan internet domains but in the end I decided that $399 was too much to spend for two years worth of owning a domain I didn't really want. The Genius recording was a lot of fun. The nature of TV means it was a longer recording than any of the radio shows but the audience were great and stayed with it all the way. Quite right too, with such an illustrious trophy at stake. Stephen Mangan was a superb guest. (I knew he would be because we'd met recently (at a poker table) and it was obvious then that he'd be a really good fit for the show.) As we were taking the show into a new environment it was really reassuring to have a guest that inspired 100% confidence. More importantly we had some brilliant ideas from some brilliant people. They were all supremely confident and very ready to defend their "genius" ideas and for me, that's always what makes the show come alive. Vermilion Triptych, originally uploaded by Dave Gorman. While listening to a Radio 5 Live late night phone in you are never very far away from hearing the old, "It's political correctness gone mad" phrase trotted out in all its meaningless glory. But a couple of nights ago, someone managed to trump it. "It's not just political correctness gone mad, it's political correctness gone insane if you ask me." On Channel 5's early evening news they ended the bulletin with their "light hearted story." It was about a Florida man, Arnim Ramdass, who won the lottery but didn't tell his wife, Donna. He turned off the TV and disconnected the phone to keep her from finding out about it. She got suspicious. Then she found a postcard about a house he'd purchased and got even more suspicious. She googled his name and discovered that he'd won the lottery. He then disappeared. The report (here's the story, as covered on a Fox News website) should have ended with her saying, "I still care about him, but I want justice." But it didn't because there was a short snippet of voice over to end the piece. The reporter adopted a world weary cynical tone of voice and capped Donna's plea for justice with, "... and money Donna, justice and money." What a strange thing for a reporter to do? Adding her opinion to a news story? But also, what a dimwitted opinion. Surely, in this instance, justice is money. Of course she wants her share of the money. For richer, for poorer and all that. Surely when she said she wanted justice she meant exactly that; that she wanted her share of the money. How dare you pretend to be upset about your husband leaving you, deceiving you, lying to you and humiliating you... you're not really upset are you Donna, you just want money. Tch. Some people. But it gets worse. Because when the report ended and they returned to the studio a smiling John Suchet sat on his sofa and chipped in with, "I think I'm with him on this one..."
So that's John Suchet saying, "yep, if she was my wife I'd have done a runner with the money as well, eh lads?" Yeah... why would anyone with 600 grand in the bank want to stay with that angry woman eh? Come on, we'd all do it. I wasn't just lazing in front of the TV by the way. I was working and the TV was on in the background, sort of keeping me company. Countdown is perfect for that kind of thing. It's as if my Mum is in the kitchen nattering to a friend. Isn't Des bright as a button? Anyway, I suddenly realised that the voice in dictionary corner wasn't that of Suzie Dent. It's been a while since I saw the show but I'm pretty sure that last time I looked, Denty was quite heavily pregnant. I'm assuming she's off having a baby. Well done Suzie Dent. Anyway, having realised that she was missing, curiosity made me look up to see who was there in her stead. At which point I fell ever so slightly in love. Alison Heard, apparently. In Dictionary Corner. I love dictionaries. And corners. We're a week away from recording the tellybox episode of Genius and I'm getting quite excited by the prospect. When we had our first meeting about the TV version a while ago we were joined by a head of production - another Ali - and a set designer - another Simon, making for a ridiculous six-way meeting with lots of Ali/Ali, Simon/Simon, Dave/Dave confusion. Since then more people have been added to the mix. Fortunately they tend to have different names. In the past if we wanted a fingernail brush I'd sit up one night with a load of fingernail clippings and some superglue and make one. When we wanted a jacket made out of hoover-detritus, Simon would e-mail round the BBC asking for full hoover bags and with the help of a charity-shop-bought-jacket and some PVA, he'd make one. (And we had a lovely friend of the show, Bill who made lots of the more fiddly things also.) Now we have an art department. Now someone asks me what I'm going to wear and the answer is supposed to be important. There are things we'd just go ahead and do on the radio that present health and safety issues in tellyland... but then there are things we can do in tellyland that we simply can't do on the wireless. Swings and roundabouts. For example. We couldn't have put a swing and some roundabouts in the radio show. We could do that on telly. Not that we are, it wouldn't be relevant to any of the ideas. But we could... and that's the important thing. All in all though, while telly does inevitably make a few things more complicated, that's not such a big deal and I'm pretty sure we're doing a grand job of preserving the spirit of the show. The conversation will still be able to go wherever it goes which is really what it's all about. When we started the first series on radio there was a concern about whether people would send us enough ideas to make it work but the ideas keep on coming. We had so many great ideas to consider for this show that even agreeing a short list was really difficult. "What size trousers do you wear?" asked the shop assistant. "I'd love to say 32," said I. "I used to be 32. Then I put a load of weight on. But I've just lost a stone and a half so I don't really know..."
"Well these tend to be quite small for their size," said he, "so let's try a 34." We did. Actually, only I did. But he saw the result. They were very big. "We could take them in for you," came the helpful suggestion. "I might as well try a 32," I said. "They are very small 32s." "Well, let's have a look." So we did. Perfect fit. Mission accomplished. I'm now back to the same size I was when I was 19. Hurrah. Like all councils mine have been doing what they can to encourage us to throw less stuff away. Every week there's considerably more in my recycling than there is in my rubbish but the goal really is to reduce them both. It's not just about recycling more, it's about consuming less. As part of their efforts they have offered local residents a cheap deal on a wormery. I guess it must be worth them picking up some of the cost if it means people end up throwing less stuff away each week. A wormery seems like a very good idea to me. You put in your kitchen waste and some worms. The worms get to feast on the rotten vegetables, tea bags and banana skins you throw their way and by doing their wormy thang they turn it into liquid fertiliser and compost. It's a win-win situation. So I called the council and took them up on the offer. a few days later a man turned up at my door with said wormery. It's a green bin. With a tap to run off the liquid fertiliser. And some other bits that you have to assemble yourself. Which I did. The one thing they don't give you straight away are the worms. Instead you get a worm voucher. You send it off to the wormery people in Devon and they send you your worms in the post. I thought sending worms in the post was a bit weird but sure enough, another few days later a small brown envelope arrived and inside it was a small plastic bag with some earth. And lots of wriggling little worms. They're Tiger Worms apparently and the wormery people reckon they're the best breed for the job so don't go trying to cut corners and using any old worms you find in your garden. Oh no. So, I'd already constructed the wormery according to the instructions and now I could add the worms. And a small layer of kitchen waste. And because I'd read the instructions I knew that I was supposed to leave it all alone for a number of days. The wormery people had explained that the worms would want to explore their new home and that they'd crawl all over the walls and roof of the wormery for a while before deciding that they really preferred the warm, dank, moist, rotten stuff. Which is fine... except that with my wormery the rubber seal that's supposed to keep the lid tight and wormproof was all thin and almost worn away. Of course, not having another wormery to compare it to, I didn't know that until it was too late. I wasn't aware that they were escaping for a while because I wasn't really paying the wormery a great deal of attention. But then a few days in I spied one of the worms on the outside. I picked up the wormery and another was nestling underneath. I thought it was odd but lifted the lid and flipped them inside. It hadn't really occurred to me that it was especially important to have a tight seal because I couldn't imagine them wanting to leave. After all, the conditions inside are surely perfect for them. But then I noticed there were a few strange marks on my kitchen floor. On closer inspection, they weren't just marks... they were dried up, shrivelled tiger worms. Hm. They don't cope well in a dry environment that's for sure. The biggest one had travelled maybe three metres from the wormery before the moisture free tiled floor proved too much for him but most of them were within a metre or two. What were they thinking? Why didn't they turn back? Where did they think they were heading? They should have stayed in the wormery for crying out loud! It was built for them. It's a worm nirvana. A wormana. It contains everything a discerning worm could possibly desire. I mean, it's not called a wormery for nothing. How much more obvious could they make it? I contacted the wormery people and they were brilliant. They've sent me some new sealant for the lid and another batch of worms. So I fixed (I think) the lid and put the new worms inside this evening. But now I'm worried. Maybe the wormery people are lying to me. Maybe the worms hate it in there. Maybe that's why the lid has to be wormproof. If it was genuinely a worm-idyll would that be necessary? Am I making these noble beasts work for me against their will? Are they unwilling slaves in my compost and fertiliser factory? What if my fix isn't good enough and this new lot escape and perish as well? I don't want another batch of worm suicides on my conscience. Or on my floor. 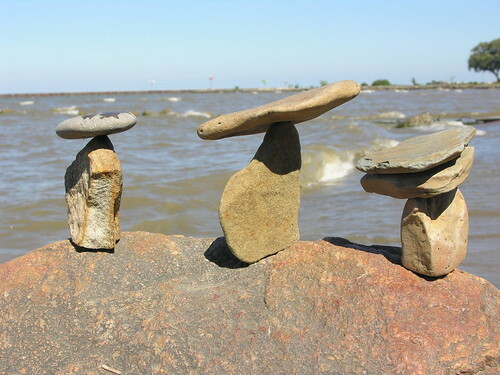 Twelve and a half stones.